Manyam Puli is the Telugu dubbed version of the Tamil Blockbuster movie Pulimurugan which featured Mohanlal in the main lead role. 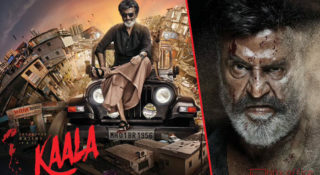 The Tamil version of the movie had been released on October 7, 2016, and the flick had turned out to be a huge blockbuster in Tamil film industry. As the movie had turned out to be a big hit the makers had thought to release the movie in Telugu as well and now it is ready and had hit the big screens today. After ‘Janatha Garage’ and ‘Manamantha’, Malayalam Superstar Mohanlal became more familiar face across the two Telugu States than he ever was in the past. If you know the story of movie Puli Murugan, you will know the story of Manyam Puli movie as well. Since it is the same film being dubbed from Malayalam to Telugu. As we all know. The movie story rotates around a man called Puli who stays in a village near a forest. He earns his livelihood by cutting Bamboo from forest and in this process it happens for him to fight against many wild animals especially tigers . This quality of him makes him different from other people in the village. In his childhood, puli’s mother dies after giving birth to his brother, Few day after his mother’s death, he loses his father too in a tiger attack, while they were escaping from the police for cutting of bamboos. Now After many years, Murugan is working a lorry driver by profession and he has a homemaker wife Myna and a daughter Chakki. Puli has been now away from village for months and many people have been killed by tigers. A mysterious hooded man arrives at the village and the village chief asks about the whereabouts of puli as he wants to hire him to hunt down a man-eater. Puli saves all people who are in the forest from Mysterious man. Manyam Puli is an action packed visual treat to Mohanlal fans. Mohanlal does justice his character in the film without making the movie-goers feel bored, even if you are not an ardent fan of the star. It is a watchable thriller, where you get to see the powerful performance of Mohanlal along with some fresh stunt. The major highlight of the movie is said to be the 10-minutes-long fight sequence featuring Mohanlal and the tiger. 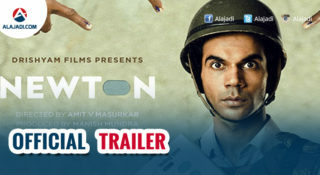 Must Watch Film in Theaters Don’t Miss The Film. Mohanlal: Mohanlal has already made a mark in Telugu industry with his acting. Kamalini Mukherjee: She gave out her best. Jagapati Babu: Jagpathi Babu is playing the antagonist in the movie. The film also major actors like Namitha, Suraj Venjaramoodu, Bala, Vinu Mohan, Lal, Kishore and Makarand Deshpande in major roles. It is the action-packed the film with all fighting sequences. Tollywood actor Jagapati Babu is also playing a pivotal role in this movie. The film’s Music and background score is composed by Gopi Sunder, while Cinematography Shaji Kumar and Edited by Johnkutty. It is an action film directed by Vysakh and written by Udayakrishna. 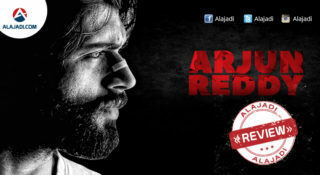 Recently it has completed the censor formalities and received ‘U’ certificate from regional censor board. The movie is produced by Tomichan Mulakupadam under his production company Mulakupadam Films.